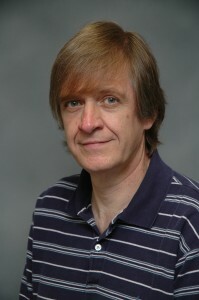 Research interests include cosmology and large-scale Structure of the Universe. Fry JN, Colombi S, Fosalba P, Balaraman A, Szapudi S, and Teyssier R. “Cell count moments in the halo model”, MNRAS, 415, 153 (2011). Siegel ER and Fry JN. “Effects of Inhomogeneities on Cosmic Expansion”, ApJL, 628, L1 (2005). Feldman HA, Frieman J, Fry JN, and Scoccimarro R. “Constraints on Galaxy Bias, Matter Density, and Primordial Non-Gaussianity from the PSCz Galaxy Redshift Survey”, PRL, 86, 1434 (2001). Ma C-P and Fry JN. “Deriving the Nonlinear Cosmological Two- and Three-Point Correlation Functions from Analytic Dark Matter Halo Profiles and Mass Functions”, ApJ, 543, 503 (2000). Scoccimarro R, Colombi S, Fry JN, Frieman JA, Hivon E, and Melott AL. “Non-linear evolution of the bispectrum of cosmological perturbations”, ApJ, 496, 586 (1998). Fry JN and GaztaÃ±aga E. “Biasing and hierarchical statistics in large-scale structure”, ApJ, 413, 447 (1993). Fry JN. “The galaxy correlation hierarchy in perturbation theory”, ApJ, 279, 499 (1984).